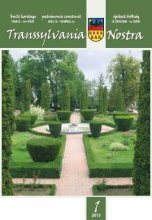 The first issue in 2015 of Transsylvania Nostra Journal was dedicated to the historic gardens. Historic gardens, the manor houses’ parks, gardens of monasteries and arboretums represent an important elements of a country`s cultural and natural heritage, therefore their maintenance is a priority. 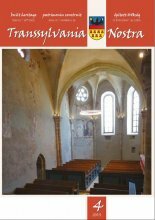 In this issue famous specialists have published their research results regarding to the Transylvanian historic gardens. The journal include details of the townscape-related consideration of the Main Square of Cluj-Napoca and the garden of Saint Michael’s Church, ornamental sculptures in Transylvanian Manor House parks, although about the garden design and historical landscape heritage in Călata Region, and the special geometric structure of the 200 years old public garden of Pest, Hungary.